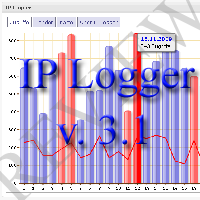 It is the second post about IP Logger plugin I made. 1st one can be achieved here. The main thing which I didn’t like in IP Logger the previous 2.8 version and had pointed it out in my review was a hidden use of external WEB service to get more details about blog visitor’s IP. Now IP Logger allows you to make the free choice: 1st – do not use any external services, 2nd and 3rd – select external service to use from 2 available options. Thus, plugin user is aware what and how the plugin does. Right decision. Version 0.3 of Plugins Garbage Collector WordPress plugin is available. It is the translation update: German and Japanese translations are included to this release. More information is available here. 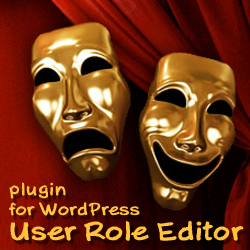 Polish translation for the User Role Editor WordPress plugin is available with version 2.1.2 published at April, 26th 2010. Thanks to TagSite for the help with making User Role Editor WordPress plugin available for polish users in their native language. Do you have URE translation in some other language? Share it with us. Do you wish to make a translation for URE plugin to some new language? Make it and share with us.